CHARLOTTE, N.C.--(BUSINESS WIRE)--ROVE congratulates Sunbelt Rentals for being recognized as its 2018 ROVE Client Partner of the Year. 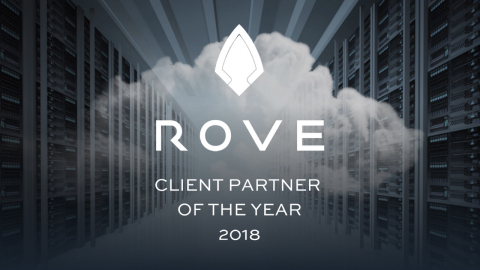 ROVE established the Client Partner of the Year Award to recognize organizations that exemplify both philanthropic leadership in the communities that they serve and IT business partnership with ROVE and its ecosystem partners. Sunbelt Rentals has consistently shown a commitment of investment and strategy in making these principles a part of its core values. 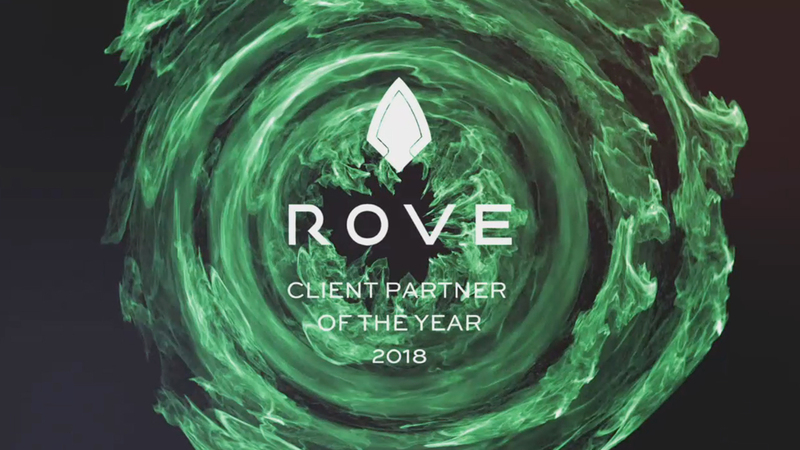 “At ROVE, when we choose our Client Partner of the Year award, we look at two major things. One is philanthropic partnership that our partner has developed in the local community as well as the business partnership they’ve developed with other organizations throughout the region. We believe Sunbelt Rentals exemplifies this award in the work they’ve done specifically with veteran groups throughout the region and the impact they’ve had on the local economy,” stated Dave Brown, CEO at ROVE. While the Client Partner of the Year Award recognizes the value of true partnership, it further highlights the partnership between Sunbelt Rentals, Cisco and ROVE. “ROVE and Cisco partnered together, and then brought Sunbelt Rentals in to develop architectural solutions to roll out across the Sunbelt Rentals environment,” stated Brian Puls, VP of Infrastructure and Security at Sunbelt Rentals. “And by embracing the ideas and the technology that we’ve brought to the table, it’s allowed (Sunbelt Rentals IT) to support its company growth without having to carry a heavy IT team and budget,” stated Chris Martin, Account Manager at Cisco. Backed by a network of more than 800 locations, Sunbelt Rentals is North America’s premiere equipment rental. Based in Fort Mill, South Carolina, the Sunbelt Rentals team services a variety of customers from those in the commercial, industrial, residential, and municipal industries to the do-it-yourselfers. With an extensive equipment fleet that exceeds $9 billion, Sunbelt Rentals offers a highly diversified product mix that includes general construction equipment, industrial tools, pumps, power generation, climate control and HVAC, trench shoring, scaffolding, remediation and restoration equipment, and more. For additional information, visit sunbeltrentals.com. ROVE recognizes Sunbelt Rentals as its 2018 Client Partner of the Year.